Commuters, fans and passerbys in London had the chance to recreate the incredible airplane stunt from Mission Impossible – Rogue Nation on Monday. The jaw-dropping virtual reality experience was on open to all passing by London’s Victoria train station, in celebration of the release of Mission Impossible – Rogue Nation on DVD on December 7. An Oculus Rift headset and wind machine replicated the moment Ethan Hunt (Tom Cruise) grabs the side of an airplane as it takes off. Onlookers were made to wear harnesses and whisked off their feet by the force of such a manoeuvre. Mission Impossible – Rogue Nation stars Tom Cruise, Jeremy Renner, Simon Pegg and Ving Rhames in their iconic roles. The new film sees Ethan Hunt face possibly his most impossible challenge yet: preventing the rise of a new global criminal consortium that the CIA does not believe exists. 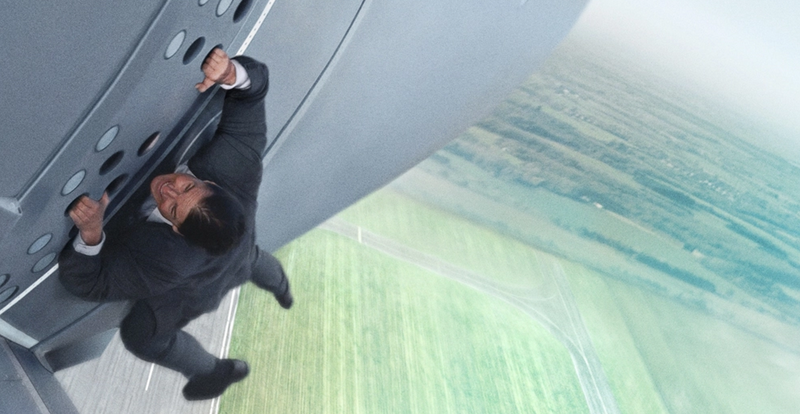 Mission Impossible – Rogue Nation is available to purchase on DVD now.